Maximum Line Size: 7/16", Safe Working Load: 1500lbs. Schaefer 5 Series Fiddle Blocks are strong, smooth and reliable. 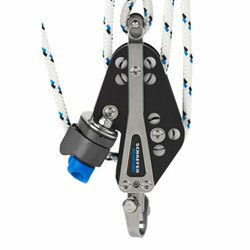 They are perfect for mainsheet and boom vang systems on medium sized cruising and racing yachts.